Summer may be fading fast but don’t retreat indoors just yet – there are plenty of food festivals to check out this autumn. Here are seven of the best so you can start planning your next roadtrip. 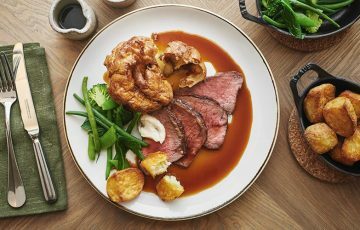 With events happening all over the city, Manchester foodies can look forward to street food, supperclubs, Gaucho masterclasses, a Hawksmoor feast, live music and more. 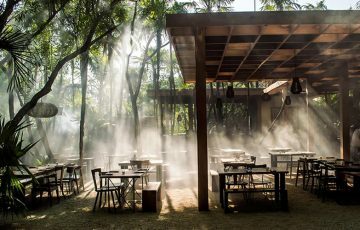 Head to the Albert Square Festival Hub for Fever-Tree cocktails and chef demos from Simon Rogan, Aiden Byrne and Iberica’s César Garcia. The historic town of Ludlow celebrates local food and drink with three days of tasting trails, hands-on workshops, a young chefs competition, and a market showcasing over 180 independent producers. The world’s oldest oyster festival celebrates its 61st birthday this year with the famous oyster opening contest, a masquerade ball, and a family-friendly day of live music, cookery demos and kids’ entertainment. Can you handle the heat? Find out at London’s annual chilli festival in Shoreditch where locals can take part in cooking demos and shop at over 30 stalls selling spicy world foods and chilli sauces, jams and more. Head south at the end of the month for three days of foodie fun in Truro. 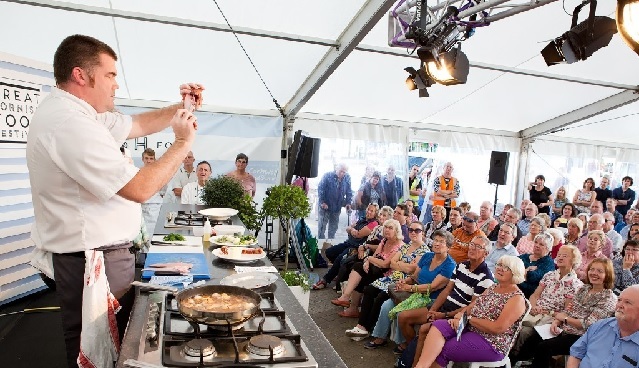 Celeb chef Nathan Outlaw will be in attendance, alongside some fantastic local chefs and producers like Sharp’s Brewery, Rodda’s and the Cornish Cheese Co. Drop in to a masterclass to sample local wines or learn how to shuck an oyster. If you fancy a food-focused city break, then October is the perfect time to visit beautiful Bath. This year, the Great Bath Feast includes food tours, pop-ups and supperclubs, afternoon teas, and talks and demos from Nigella, Tom Kerridge and Gennaro Contaldo. Check out the event program – it’s epic! 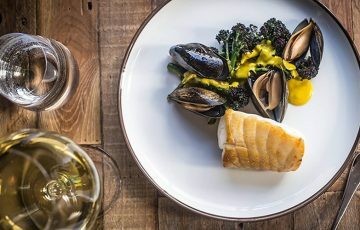 Enjoy ten days of delicious set menus at top restaurants, plus events like the Edinburgh Street Feastival, the Grassmarket Fun Foodie Day, and ‘Movies & Shakers’ film-and-food nights at Harvey Nichols Forth Floor. 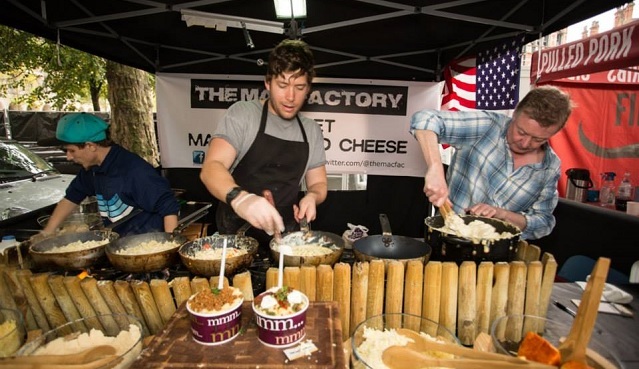 Looking for a food festival near you? Search for your local area on Food Festival Finder. My son works as a chef and never misses the London’s Chilli Fest. He says it’s the peak of his year and recommends it to everyone who has the opportunity to check it out. The whole family will attend it this year to see what the fuss is all about. We will have our own booth where we’ll sell some home-made goodies. From the pictures I’ve seen so far, I can tell that it’s going to be fun. If it goes well, the next year we’ll visit other festivals as well.